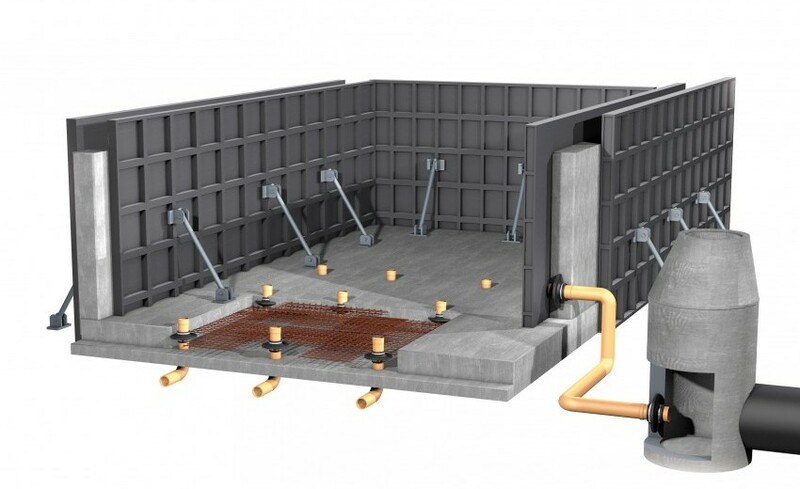 Watertight up to 10 bar and easy to install, FRANK puddle flanges have been designed specifically for the pressure-tight installation of pipelines in concrete walls, tanks, shafts, foundation plates, manholes and basements. 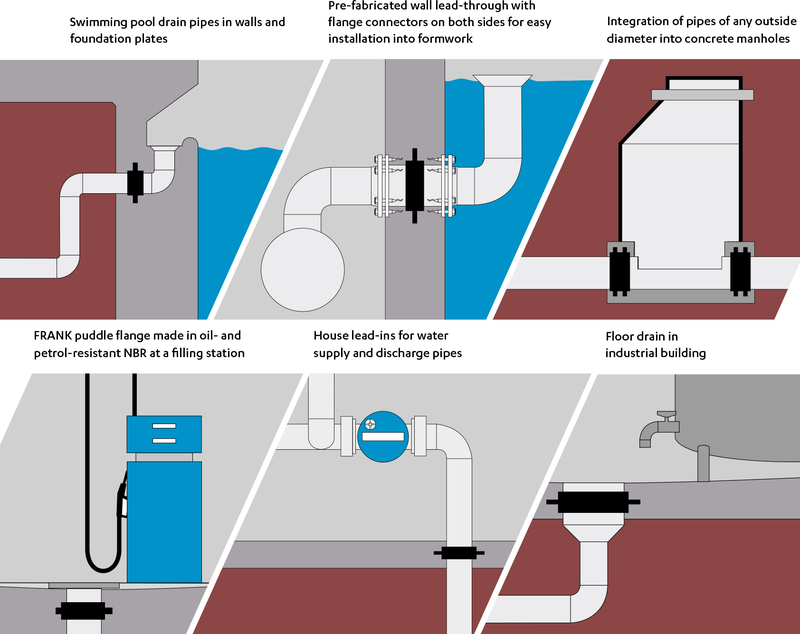 Thanks to the easy-lock tension bands, installing a FRANK puddle flange takes only a few minutes. 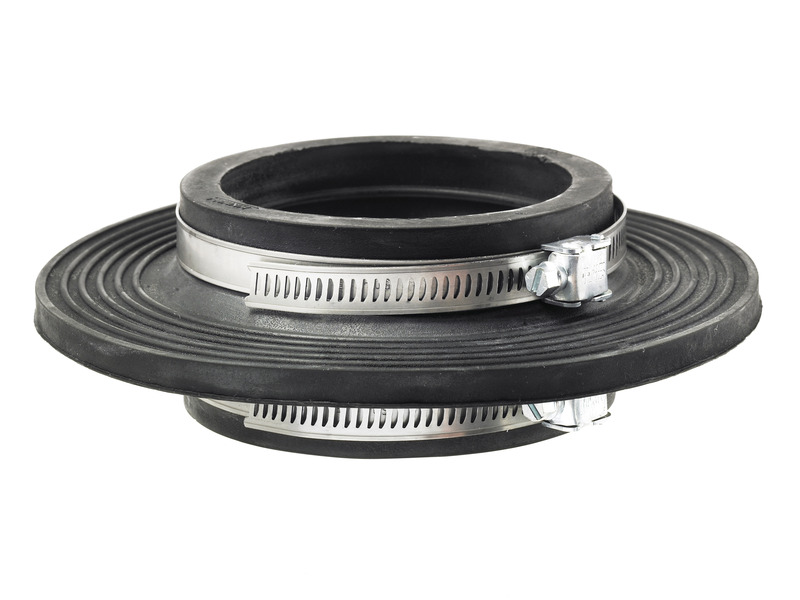 The puddle flange is mounted by hand on the pipe and secured with the supplied tension bands. A screwdriver or 6mm nut driver can be used to install the tension band on pipes of up to 315 mm in diameter. View all sizing options for VIPSeals® puddle flanges in our information table.